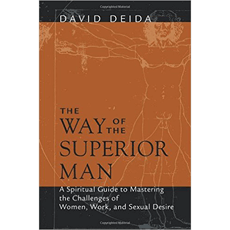 Review for The Way of the Superior Man, SUPERIOR? There are a few good motivating quotes in the book. It was difficult for me to keep my concentration reading this book, I personally didn't find any new applicable information in it. This book comes highly recommended, so when I started to read it, after the first few pages, I was immensely disappointed. I don't even remember if I managed to finish the book, which is something quite strange as I am a completion person. However, it might just be that my own character is not suitable for the book, as many people that I have communicated with, love it.